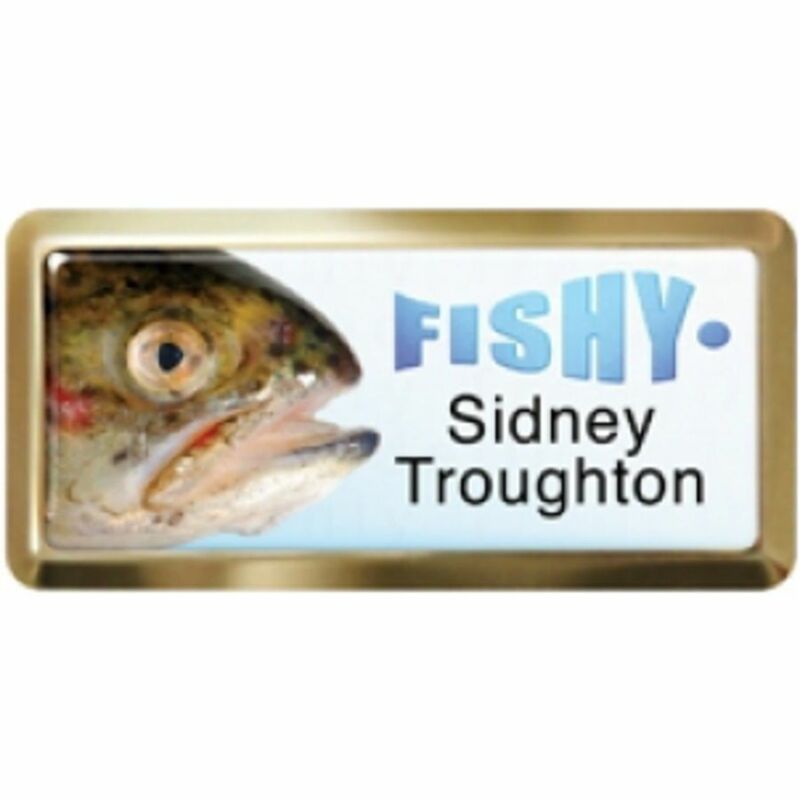 73 x 35mm UK manufactured personalised name badges with high gloss real metal frames and domed centres. Corporate logos and individual details printed in full colour on white, silver or gold backgrounds. 3 standard sizes and choice of metal finishes for frames. Pin or pin / clip fittings included.